Authenticity. Tipicity. These words describe wines from a particular piece of land or region. This characteristic is a guiding force behind the Italian wines I carry at Farfalle Italian Market in Concord, Massachusetts. I’ve been seeing more and more talk of authenticity on the web and in print. Authenticity seems to be replacing a fading concern about points and cult status when it comes to consumer decisions in buying wine. But I see most of the concern about authenticity from critics and bloggers, not from retail shop owners – so far. From my point of view, selling small production wines of tipicity is more important than “easy sell” wines with proven marketability. The clientele of our shop expects more. They come to us to get a different experience. Since we are poring wines to taste all the time, there is less need to clutter our shelves with insipid shelf talkers The consumer doesn’t have to concern himself with arbitrary scores. He (or she) isoften surprised at how easy it is to select wine once they gain a little confidence. Initially, I assist but gradually they come to understand that the entire shop is filled with quality wines from certain regions, and that choosing wine here does not involve learning wine critics’ high and low scores. At Farfalle we sell wines from just about every region on a daily basis. We don’t stock hundreds of facings, but our selection is respectable. . 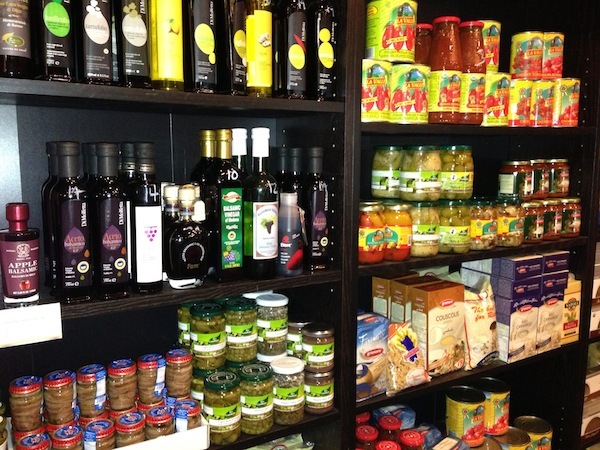 Since the focus is pairing regional wines with the food made here at the store, less shelf space is devoted to recognizable labels such as Antiniori — we leave that to the full wine and spirit shops. This allows me to buy small and regional. We have an Italian enoteca-like collection of wines from less touristy regions such as Le Marche and Lazio. For example, we have wines made with grapes such as Passerina and Ribona from a small Azienda called La Murola in Le Marche. 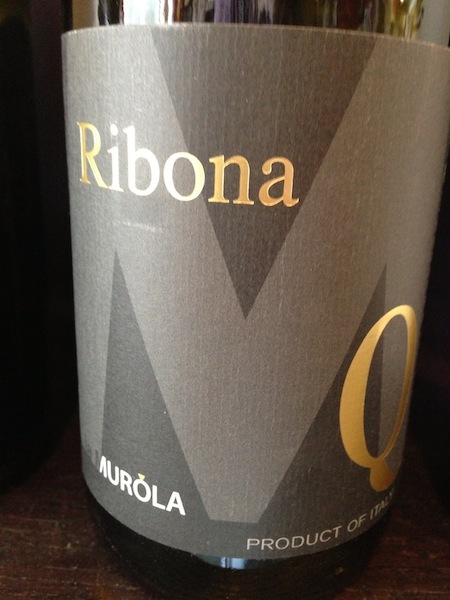 These wines are tantalizingly crisp with solid structure and body, without the aggressive fruit and vanilla that characterize many mass produced wines. Plus they are low in alcohol at only 12.5%, which makes them great companions for food. I often tell my customers that Italian wine, whether mass produced or not, is probably the best overall collection of varietals in the world for pairing with food. In my experience, no other wine-producing country has this large a number of wines, produced in such a wide range of climates and geography. And it has the cuisine to go with the wines! 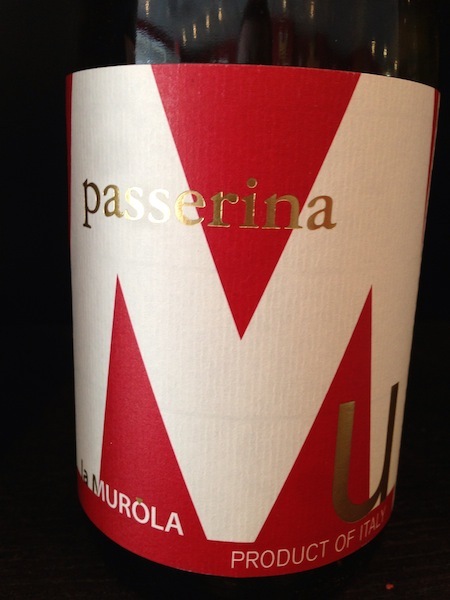 Take Passerina, which I just mentioned — or the equally little-known Ribona or even the more well known Verdicchio — and pair that wine with classic Pasta con Sarde, or with shellfish. These wines are built for such local cuisine. All these wines are from Le Marche. Lying along the coast of the Adriatic, Le Marche has hot days and cool, sea-breeze nights. Add minerals eroded from the nearby foothills of the Apennines, and the whites of this region become complex: they have body, crisp fruit and acidity, plus a mineral or briny finish. I tell them I pick what I like, which should always be your number one priority, whether you’re a customer or a buyer. This either makes them relieved or anxious. Then I tell them that you should have a belief in wine. Yes. Belief in wine as an agricultural product. It shouldn’t be a political statement about an issue like biodynamics, but rather a geographically-based experience. Like Dr. Seuss’ idea: “the places it can take you.” Take Frascati, the refreshing white wine of the street cafés of Rome. Frascati is not a world class wine, but does that matter when you consider it has been enjoyed for hundreds of years? Wine of place. Have confidence. Trust your best merchant, but even more, trust yourself. Next time you are in a local wineshop you respect, ask the merchant about the lesser known varieties of Italy. Forget about scores, and focus on tipicity or wines of place. The wine buying world is changing. Don’t miss out on the fun. Reading this article, i realized how little understanding and appreciation there is in the market for some of the historical wineries of Italy. Without the hard work and leadership of the ‘BIG’ wineries since the 1950’s and 60’s, Italian wine would not be as recognized and respected as it is nowadays in the US market. It’s easy to say: “i like to represent indigenous varieties and terroir”, but without the BIG (historical!) wineries, Ribona and Passerina would not even be planted anymore in Italy. Very good point and exactly correct. My intention is to get the average consumer to understand Italy has moved far beyond the image of straw bottle chianti. Many of them haven’t from my experience. In fact they dismiss chianti as a result. When in fact, Chianti is one of the most beautiful wines made in the world today. So to your point, you are correct, but my focus and intention is to broaden the wine horizon for Italian wine buyers. Some of my customers really think Chardonnay originated in California!